Egg Yolk Black Patatoes, from the north of Tenerife, the most valuable variety of ancient indigenous Canarian potatoes. These Jewels of gastronomy have been preserved for centuries in the Canary Islands for our farmers, cultivated and coddled like a great legacy for generations. 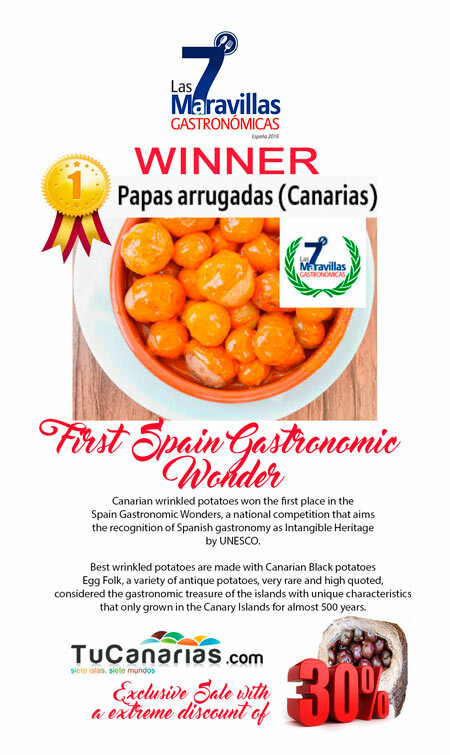 Unique Ancient Canarian potatoes in Europe, now directly to your table. Black potatoes, the most desirable to develop as "wrinkled potatoes" or for fine dining and creative cuisine, the most demanded by the most famous gastronomes of the world.